Description: Experience the world of North Liberty, Iowa and Dahnovan Builders right at your fingertips. With an easy to use interface and regularly updated content, you won’t need to go anywhere else for current information about our how new homes in and everything the new home owner needs to know about North Liberty, Iowa. This app provides the new home owner a complete listing of attractions, business, local regulations and information from snow removal to garbage pickup. Listing: Get the latest and current new listings with photo gallery and detailed directions to new homes. Events: Stay in touch with community activities, local event, and open houses in North Liberty, Iowa. Social: Post to facebook, twitter, or view photo gallery’s of homes for sale in North Liberty. 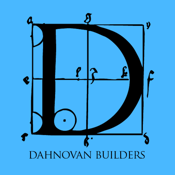 Dahnovan Builders app is organized by Listings, Events and Community. Within each category you’ll find useful information about our community and a complete resume and background and experience of Dahnovan Builders. The Dahnovan Builders app is produced and powered by In Touch Systems, a leader in developing mobile solutions.